on Saturday, May 16th and Sunday, May 17th, 2015! Buy tickets today! Two incredible days of live music on the beautiful shores of the Chesapeake Bay. 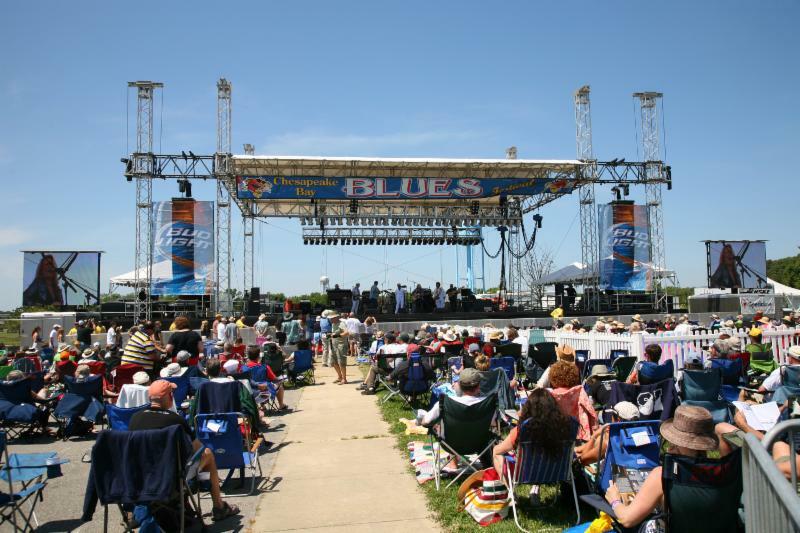 On Saturday, May 16th and Sunday, May 17th, 2015, the Chesapeake Bay Blues Festival will return to Sandy Point State Park in Annapolis, Maryland. Boasting one of our best line-ups ever, the festival will feature performances by: Gregg Allman, Buddy Guy with special guest Quinn Sullivan, Beth Hart, Jonny Lang, Charlie Musselwhite, Bobby Rush, Tommy Castro and the Painkillers, Shemekia Copeland, Mingo Fishtrap, Jarekus Singleton, the Sisterhood of Soul, the Marcus King Band and the Chesapeake Bay Blues Band. The festival also includes a variety of food, including local favorite crab cakes and oysters, Beer, wine, smoothies, a large crafter village with something for everyone, and a kids activities! The net proceeds from this event will go to several worthwhile and very special charities, including: Special Love, Inc., Camp Face, We Care and Friends and League for People with Disabilities. Tickets are on sale now! For all the details, please visit our website at www.bayblues.org! For more updates, follow us on Facebook. Come and get Hooked on the Blues! TICKETS AVAILABLE NOW - BUY TODAY!